Dr. Rachel Cook graduated with Honors from the Lyman Briggs College at Michigan State University with a Bachelor of Science degree in Human Biology. She continued her studies at the Ohio State University College of Dentistry where she completed her D.D.S degree. During her studies she was named the Veler Scholar for her class, a prestigious award chosen for a student that displays exemplary moral and ethical character alongside academic achievement. 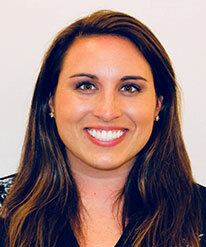 Dr. Rachel completed her specialty training in pediatric dentistry at Boston Children’s Hospital and Harvard School of Dental Medicine, where she served as chief resident and adjunct faculty in the pre-doctoral clinics. While there, she received extensive training in caring for children with special health care needs and dental anxiety. She is currently a member of the American Academy of Pediatric Dentistry, the American Dental Association, and the Hispanic Dental Association. Dr. Rachel is excited to continue calling Boston her home, though she remains an avid Michigan State fan. In her free time, she enjoys playing sports, reading, and traveling.